This step takes a look at the recorded Interim Progress Percentage and compares it to criteria set for . This percentage is a fixed point in time, and will not change unless you re-run the prior step. 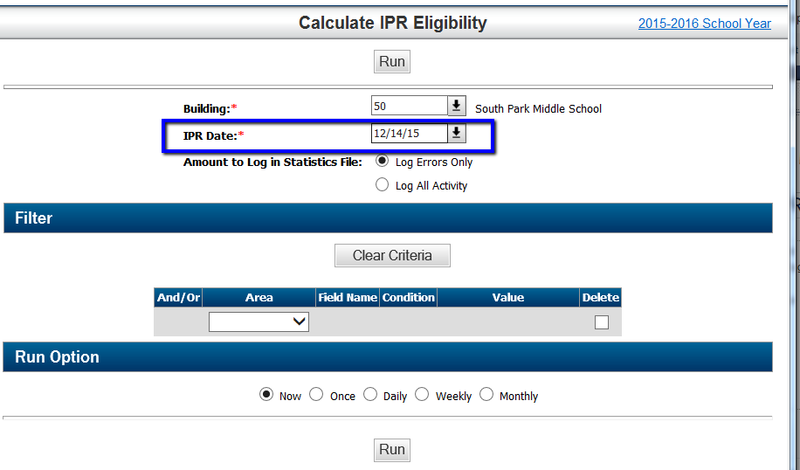 Navigate to Mark Reporting Center - Calculations, and find IPR Eligiblity Calculation. Take care to allow the Load Unposted Averages time to run prior to running this step. Check Log in your reports. Replicate the screenshot below with your building, and the latest IPR Date calculated.